Heart and Soul–River Dogs is the best care you can find for your dog. I met Dina years ago when I had a handicapped dog named Buddy. Buddy, was a dog with very special needs. Buddy’s handicap was due to distemper vaccine, and he eventually became bound to a custom built wheel chair. Dina got to really know Buddy, and Buddy was a handful. Even with Buddy’s many challenges, Dina loved Buddy through it all. She was the most compassionate, understanding person for Buddy to be around. Now, I have two Chihuahua mixes who are often in Dina’s care. They consider her and her partner family. Cooper is 14 & he trusts her like no one else. Dina puts her heart and soul into the dogs she cares for. She is the dog whisperer. She truly understands dogs and for that I am grateful! I brought my dog, Levi, to Dina at River Dogs for the first time about 2 weeks ago and I couldn’t be happier! I had been looking for about 3 months for the perfect pet boarding company and I finally found it! Levi stayed at another facility before River Dogs and while it was fine, I wanted a more personal touch for Levi. Dina at River Dogs offers exactly that. She lets the dog roam freely around her very secure backyard which also has a large, enclosed area for the pets to relax. Dina also lets the dogs inside her home and treats them like they are her own. Levi even had a few accidents and Dina was so gracious and understanding even though I of course felt horrible! Levi came back in great spirits and actually seemed sad to leave his new friends. I am even taking Levi back this weekend! I would recommend River Dogs to anyone looking for a safe, fun place to leave their dogs while they are out of town or even during the day for pet sitting. I know my dog will always be well taken care of and, for that, I am extremely grateful. This is a fantastic alternative to the caged boarding facilities and I know Levi is also very happy I found Dina! I really love this business. They’ve been taking care of my dog while I’m at work, doing a daily walk 5 days a week and doing afternoon daycare at their house. I work long hours and I have finally gotten peace of mind knowing that my Mister Wonderful dog is well taken care of. When I get home at 6 or 7, he is crashed out on the couch, very relaxed and well-exercised. Also, Dina really can handle most animals. 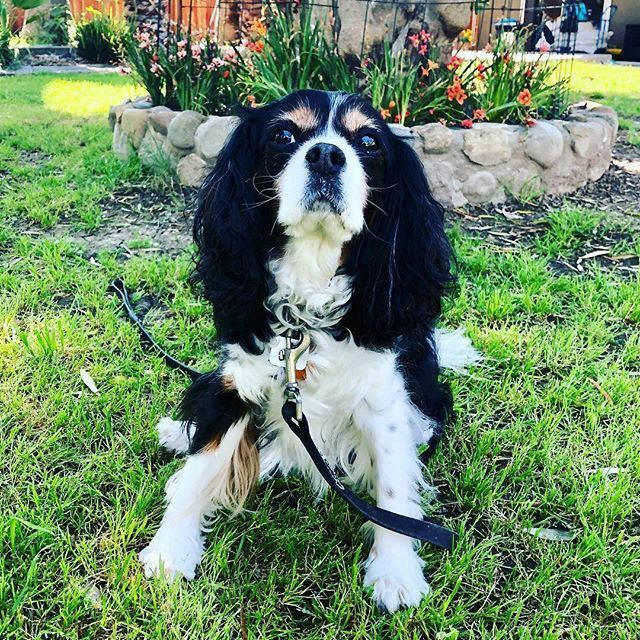 I had taken my dog to another place in Davis where they told me that he had been aggressive to another dog and would have to ‘carefully consider’ taking him again, even though he’s never bitten another animal in his life. She knew about this and decided to give it a try, and has really taken him under her wing and done a fantastic job. Dina is great and trustworthy. My dogs are with her at least once a week and whenever I go on vacation. The price is just right as well. I would recommend her for doggie day care as well as long term care when you can’t take your furry friend with you on vacation. Gracie and Junie love the River Dogs!! A dog sitter that I have 110% confidence in! I’m sure any concerned dog-owner can agree how stressful it is on the dog and the owner when life necessitates the use of a dog sitter. Not anymore! 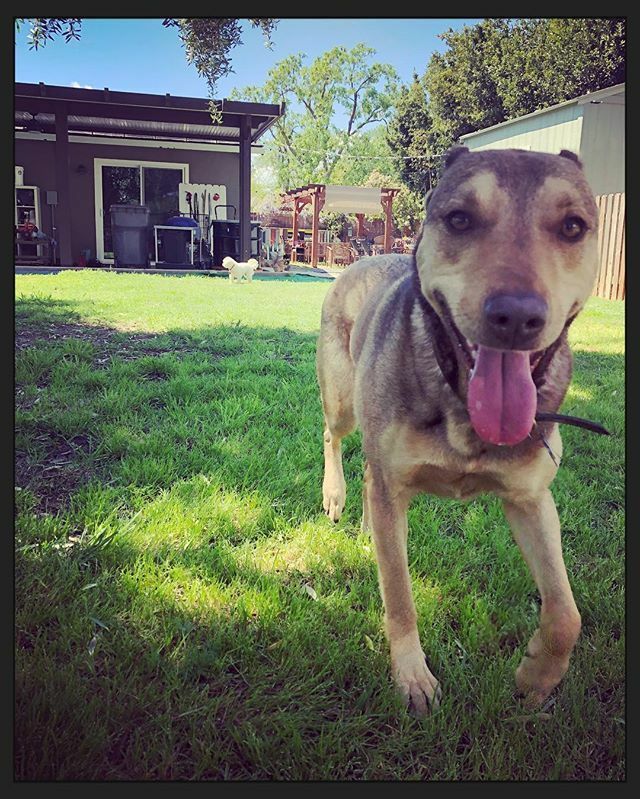 Last time I picked my dog up after 10 days with Sac River Dogs, she was MORE relaxed and obedient than when she left (sad for me the owner to admit but it’s the truth)…and no evidence of the typical weight loss that our dog always experienced in the past after being separated from us. Our family joke is that our dog gets to go on vacation too when she stays with Sac River Dogs. She gets a long walk on the river each day, her own playroom with couches and a TV., and I believe she even slept on Dina’s bed for a night or two, which I consider above and beyond the call of duty! They truly do treat your dog as a member of their family (a.k.a. “pack”! ), and Dina is definitely the pack leader. I also love the fact that Dina practices The Dog Whisperer, Cesar Milan’s 3 basic principles of Exercise, Discipline and Affection, which I aspire to. I was ALMOST sad to take my dog back home with me…she really had a great time! What a relief for me and my dog; I would highly recommend Dina and Sacramento River Dogs the next time you need a dog sitter. The folks at River Dogs were some of the first people to attend to our little guy, Spock, when he was first adopted from Taiwan. They were extremely skilled with handling our reticent doggy, who wasn’t entirely oriented to this new world, taking the time to get to know him, and let him get to know them. I learned a lot about pack leadership just watching Dina, she has an amazing way with animals. Spock’s always loved going on walks with her or spending the night. I highly recommend them if you’re looking for walks or boarding.